We provide insurance defense services for attorneys, third party administrators and insurers. Our services include, but are not limited to; surveillance, AOE/COE, subrogation, motor vehicle accidents, slip and fall claims, etc. Whether the case involves the mail clerk or the Vice President, your company’s liability and policies are at issue. California courts continue to hold employers liable for their employee’s conduct, while in the scope of their duties. Whether it involves theft, abuses or sexual harassment, we can assist you. Perhaps your competitor utilizes a particular technique or advertises a “special product” you suspect does not exist. Allow us to be your eyes and ears to determine the facts. If it is legal and does not include trespassing, we can help. Whatever the need, JMN Investigations uses only the best equipment and experienced investigators. We provide the client with both written and verbal reports, as well as a copy of work product. 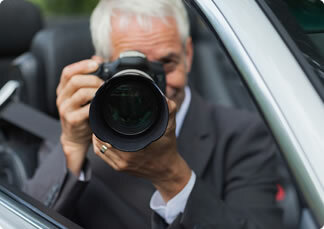 We do not provide private party surveillance services to the general public (i.e. Domestics, cheating spouses, child custody, etc).